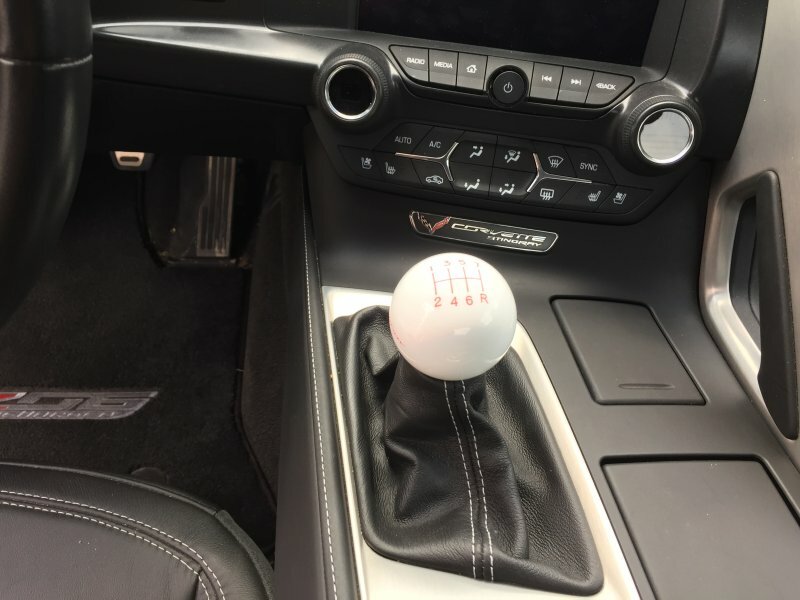 Dress-Up your C7 Corvette with one of our great looking painted shift knobs! 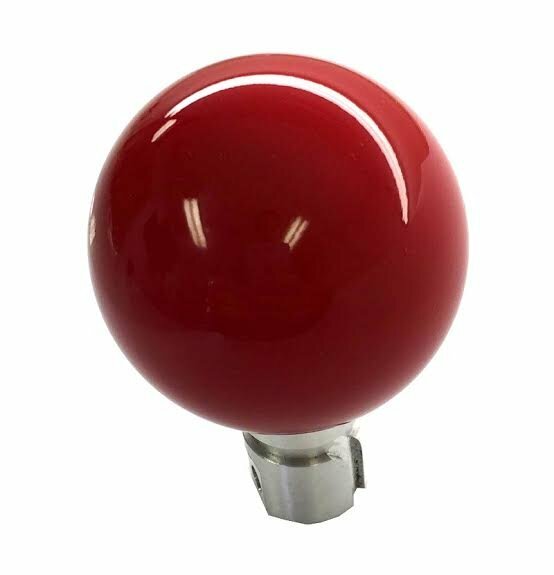 This "Retro style knob is the style that never gets old" is a direct fit for your stock or aftermarket shifter. These knobs retain chrome and regular boots. 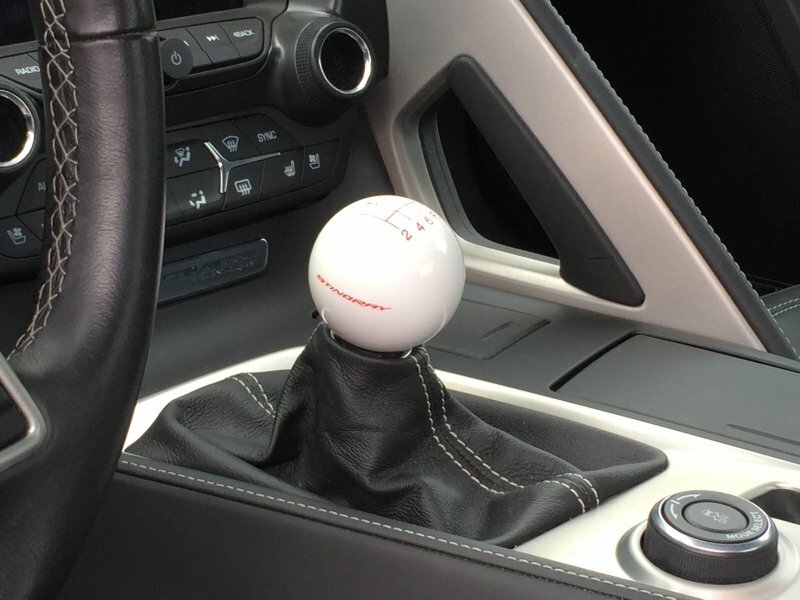 We take our popular C6 shift knob and paint it to order any C7 body color. Then coat it with 3 layers of clear for a long-lasting finish. 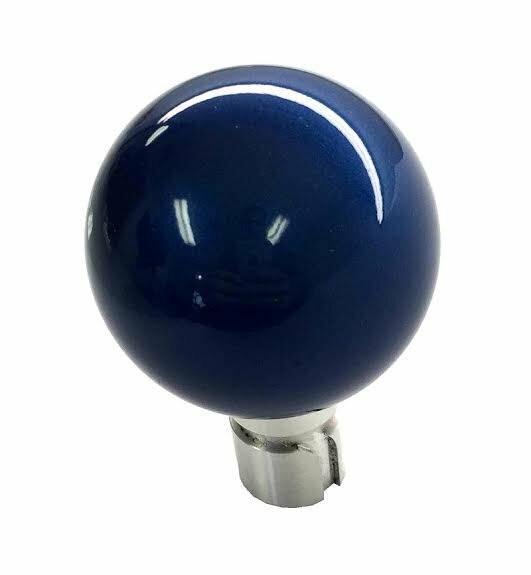 This 2.25" diameter shift knob fits on the OEM shifter and retains the OEM mount and chrome boot lip. As many know the OEM shifter has a unique mount (no threads, a slot on top and a screw to secure it). Universal or threaded knobs just don�t work here. 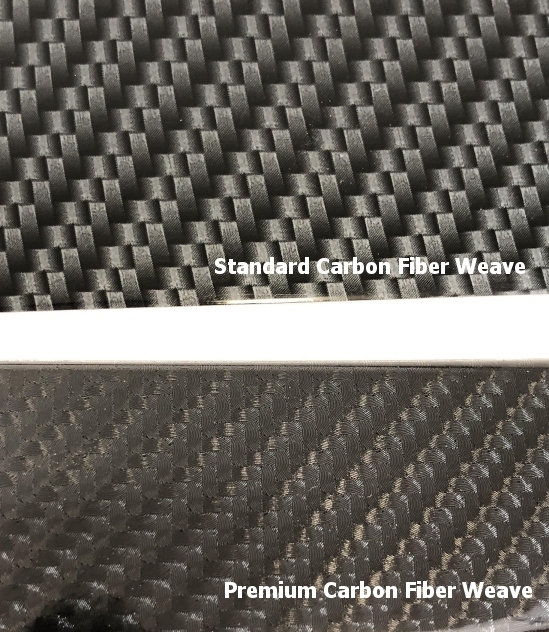 That is why we have a custom CNC billet adapter for correct, quick and easy installation. Once installed your shifter will not move, rattle or twist. This adapter is exclusive to our shift knobs.